Applications for departmental scholarships are closed.  The deadline for departmental scholarships has passed, but you can find information on College-wide scholarships available for current students in the scholarships section of the College of Arts and Sciences website. Students can apply for no more than TWO departmental scholarships. This scholarship is awarded to a junior political science major for their senior year. The amount awarded is $500 each semester for two semesters; $1,000 total. This scholarship is for English, Journalism or Political Science majors. To be eligible for consideration, Political Science majors must have a B average and senior standing. The amount awarded is $1,000 each semester for two semesters; $2,000 total. Requires a writing sample. This scholarship is awarded to a Political Science major in his or her sophomore year, and the stipend is paid in their junior year. The recipient is selected partly on financial need as well as academic merit. Statement of financial need is required. The amount awarded is $300 for two semesters. This scholarship is awarded to a sophomore or junior political science major with at least a B. Preference is given to applicants with an interest in political theory. Sophomore candidates will receive the stipend in their junior year; junior candidates will receive the stipend in their senior year. The amount awarded is $300 for one semester.